Life is full of challenges and choices. One of those big choices is if and when to buy a home for yourself. A lot of us rely on rentals or family when we’re young. But, if you ask me, your next focus should be on homeownership. Renting offers tenants no security at all. Your survival and shelter are often dependent on the whims and decisions of your landlord. This can be incredibly frustrating and sometimes very worrying for people. But if you own your home, you can live happy in the knowledge that the home is yours. You can also become more rooted in the local community because you know you’re going to be there for the foreseeable future. This means you can get to know your neighbours and get involved in activities. There’s less motivation for you to do that when you’re renting temporarily. Some people will tell you that you haven’t really grown up until you’ve bought your own home. It is easy to see what they mean by this. There is something about moving into your new home and knowing it’s yours that really makes you feel like a proper adult for the first time, no matter how old you are! It’s also a big step for adults who are looking to start a family in the near future. It’s very hard to raise a family while you’re still renting, and even harder if you’re stilling living with your parents. 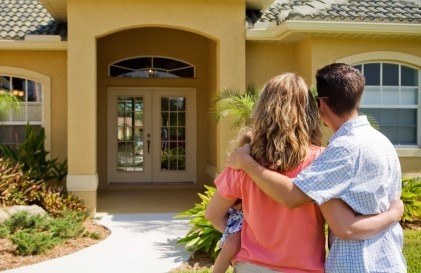 Owning your home offers you the opportunity to create a family in a safe and secure environment. A lot of people think that the chance of them ever owning their home is very small. And it’s understandable that they’d think that. All across the Western world, the levels of homeownership are falling, unfortunately. But this doesn’t mean it’s impossible if you have the will to save money and find a bargain. There are lots of schemes and opportunities out there that can make buying your first home cheaper. Make sure you talk to your local authority and inform yourself about the opportunities open to you. There are also tax loans from Reliance and other mortgage schemes that can be beneficial to first-time buyers. Owning your own home gives you a great deal of personal freedom, the like of which you’ve probably never experienced before. When you live in a rented property, you really have no freedom at all. You can’t do anything to the property because it’s not yours. So, you can’t redecorate or put your stamp on the home. But when you buy a property, it’s yours and what you do with it is your business and no one else’s. When you’ve been used to renting homes for a long time, this kind of freedom can be a huge benefit to you and mean a lot. I hope the points discussed above have persuaded you that your next step in life should be to buy your own home!